This may sound a bit confusing, but because plastic is meant to last, it is nearly impossible to break down. Burning plastic is incredibly toxic, and can lead to harmful atmospheric conditions and deadly illness. Therefore, if it is in a landfill, it will never stop releasing toxins in that area. Even recycling doesn’t cut down on plastic, as it essentially uses the existing plastic, albeit in a new form. The process of recycling plastic can also lead to plastic irritants being released in a number of ways. It costs millions of dollars each year to clean affected areas after exposure, not to mention the loss of life to plants, animals, and people. 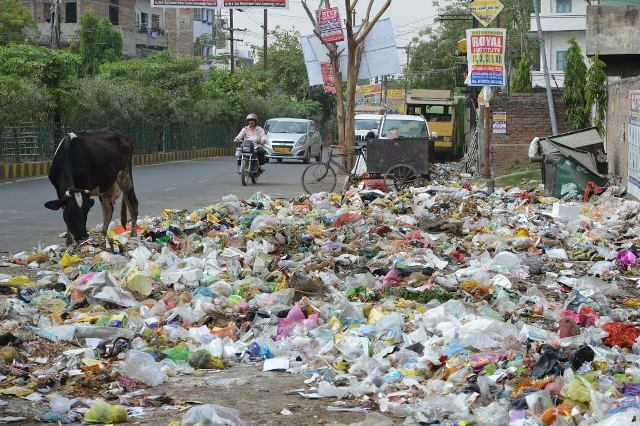 As land becomes more valuable, just finding a place to put garbage is becoming a problem in many parts of the world. Plus, excess pollution has lead to decreased tourism in affected areas, significantly impacting those economies. We can STOP plastic pollution in Karur District.